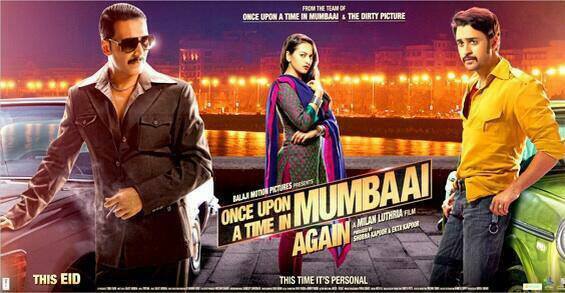 Milan Luthria's OUATIMD gets a rating of 3/5 - star one for dialogues , star 2 for dialogues and star 3 for dialogues! The dialogues by writer Rajat Arora are so powerful that they have overshadowed the performances by all the actors in the movie. Yet, if I were to pick one performance from to the movie as the best I would say Sonakshi's acting fairly stood out. The "Maashuka": In the last movie Mumbai city was Shoaib's "Maashuka";however in this one clearly all his energies are focused on his new love Jasmine. The Magic of Ajay Devgan: I terribly missed Ajay during the movie. It took me some time to accept Akshay as the lead actor in the sequel. Akshay's acting is not bad but he clearly lacks Ajay's conviction. For those who need a dose of dialogues - go and watch this one, you will not be disappointed.